Dual voltage (230V-110V) 50W 4000lm work light. Compact and lightweight with a tough polycarbonate casing. Features ultra bright LEDs that do not overheat, ideal for use in extreme working environments -20ºC to + 60ºC. Includes 2m lead and 230V standard 3 pin Plug. Requires plug for 110V use 35522 not supplied. 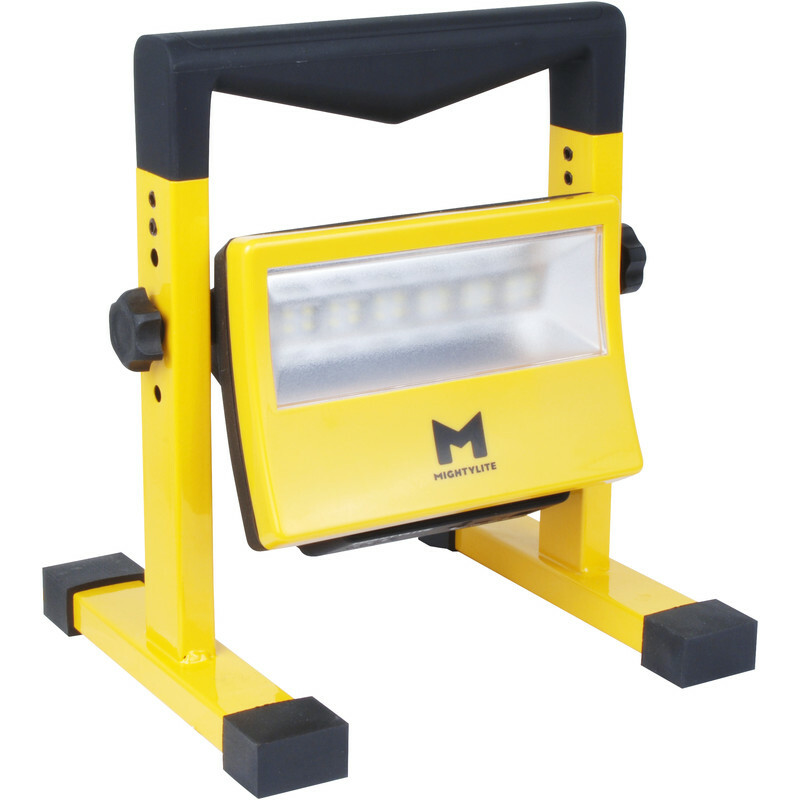 230V 50W LED Portable Work Light IP65 4000lm is rated 4.5 out of 5 by 2. Rated 4 out of 5 by Bright light from Nearly perfect Assembly of the frame was not as straightforward as the instructions portrayed as the lugs did not push in cleanly. However the light itself is great. Rated 5 out of 5 by DJF55 from just the job Used it as a garden floodlight so kids could play basketball in the dark. Just the job.